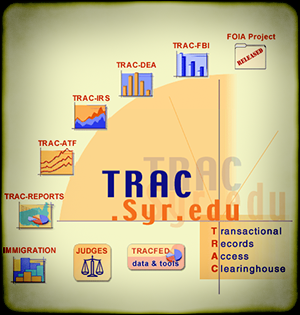 On March 18, 2019, the Transactional Records Access Clearinghouse (TRAC) issued a report captioned "Newly Arriving Families Not Main Reason for Immigration Court's Growing Backlog". That report raises significant questions about the capability of the U.S. immigration system to process the flood of so-called "family units", parents and guardians entering illegally with children across the Southwest border, which could lead to a humanitarian disaster and a breakdown of our immigration-enforcement system. Today, we face an unprecedented number of illegal immigrants that loopholes prevent from being returned quickly to their home countries. At present there is a lack of reliable data on just what happens after each family arrives at the border. Different agencies — including the Border Patrol, the Office of Field Operations, Immigration and Custom Enforcement, the U.S. Citizenship and Immigration Services, the Immigration Court, and the federal criminal courts — can be involved somewhere along the way. Each of these have their own tracking systems. As a result, there is currently no continuous tracking system that follows a family from its arrival at the border onward to the final resolution of that family's case. What we can compare — at least for the past six months — is the number of families arriving at the border each month versus the number of families that make their way to the Immigration Court. As shown ... arrivals greatly outnumber the families in court proceedings. Even after tracking began, the data indicates that the number of family units apprehended by the Border Patrol or detained at ports of entry dwarf the actual number of these cases that have thus far made their way to Immigration Court. In other words, many more family units are being apprehended along the Southwest border than are appearing on the dockets of our nation's immigration courts. This has significant ramifications for the federal government's efforts to stem that flood. For example, as the TRAC statistics make clear, in February 2019, 40,385 aliens traveling in family units were apprehended either entering illegally between the ports of entry along the Southwest border or seeking entry fraudulently or without proper documents at those ports. By comparison, according to TRAC, 9,453 new cases involving aliens in family units were filed with the immigration courts. That discrepancy follows a trend that TRAC identifies as beginning in September 2018, when the Executive Office for Immigration Review (EOIR, the Department of Justice agency with jurisdiction over the immigration courts) started releasing statistics on the number of aliens in family units whose cases were filed with the immigration courts. Because of the barriers that families must first surmount, even when they successfully pass these tests there will be some weeks before their cases reach the Immigration Court and their asylum claims can be filed. Thus, we cannot directly compare the number of families arriving at the border in any given month with the number of newly filed Immigration Court cases. However, given the barriers involved, it seems likely that a significant number of these families will not make their way past these hurdles and thus never become part of the Immigration Court's pending caseload. Thus, it would be prudent not to use the figures on families arriving at the border as any reliable guide to the number of families that are or will be allowed to pursue their claims in Immigration Court. The barriers that TRAC refers to are the expedited removal process and credible fear, which I described in detail in a May 2018 Backgrounder captioned "Catch and Release Escape Hatches: Loopholes that encourage illegal entry". Simply put, however, if an alien is apprehended entering illegally along the border, or at a port of entry with fraudulent documents or no documents all, that alien is supposed to be quickly removed back to his or her home country. If that alien asserts a fear of harm if returned, the alien is referred to an asylum officer in U.S. Citizenship and Immigration Services (USCIS) for a credible-fear interview to assess whether the alien should be given the opportunity to apply for asylum with an immigration judge. If the alien is found to have a credible fear, the alien is placed in removal proceedings before the immigration court to file that asylum application (although many don't, as I have explained previously). If the asylum officer determines that the alien does not have a credible fear, however, the alien can seek a review of that decision before an immigration judge, or can simply be returned home. It is not clear why TRAC states that "a significant number of these families will not make their way past these hurdles and thus never become part of the Immigration Court's pending caseload." The latest statistics from USCIS on credible fear show that in FY 2018, asylum officers issued 97,728 credible fear decisions. In 74,677 of those decisions, credible fear was established, or 76 percent of the time. Credible fear was not established in only 9,659 cases, or just less than 10 percent of the total. The remainder were so-called "closings", that is, where credible fear claims were withdrawn, or the case was closed for some other unspecified reason. Thus, more than three-quarters of all credible fear applicants in FY 2018 should have been placed in removal proceedings to apply for asylum. Most of those family-unit aliens have not, however, been placed into removal proceedings, or least not in a timely manner, as the TRAC statistics reveal. It is possible that at least part of the lag time between apprehensions and removal proceedings is a result of delays in adjudicating those credible fear claims. Aliens are supposed to be detained under section 235(b)(1)(B)(IV) of the Immigration and Nationality Act (INA), however, pending a determination of credible fear. It is doubtful that U.S. Immigration and Customs Enforcement (ICE), which has jurisdiction over immigration detention, is holding tens of thousands of family-unit credible-fear claimants. That would be one explanation, however, for the discrepancies identified in the TRAC report between the number of family units who have been apprehended along the Southwest border and the number of immigration court filings involving family units. This would suggest that family units are being released to appear for later credible-fear determinations. That itself is problematic, however, because any release of those credible fear applicants would give them the opportunity to remain in the United States indefinitely pending that credible fear review, and possibly abscond. Another explanation for the lag time could be a failure by asylum officers to place family units who have been found to have a credible fear into removal proceedings in a timely manner. Under section 235(b)(1)(B)(ii) of the INA, aliens who are found to have a credible fear are subject to mandatory detention "for further consideration of the application for asylum." Again, however, it is doubtful that ICE is detaining tens of thousands of family units until immigration judges can make determinations on their asylum applications. This, again, would mean that those aliens are being released indefinitely. A third explanation is that the immigration courts are receiving notices to appear (NTAs, the charging document in removal proceedings) for aliens who have been found to have a credible fear and who have been placed into removal proceedings, but that those cases are not being docketed in a timely manner. Once more, if those aliens are being released (contrary to the INA, as stated above) and there is significant lag time in the docketing of those NTAs, tens of thousands of aliens in family units are being released indefinitely. If any alien's purpose in coming to the United States illegally is to live and work in the United States (the reason for the vast majority of illegal entrants from my experience), the release of that alien gives other foreign nationals a strong incentive to enter the United States illegally. If there is significant lag time between apprehension and either credible-fear determinations, or the placement of aliens found to have a credible fear into removal proceedings, or the docketing of cases of aliens found to have a credible fear with the immigration courts, and those aliens are at large in the United States during such lag times, those incentives increase. News travels fast abroad about opportunities to enter the United States and live in this country freely, as I have indicated in a March 8, 2019, post involving family units. A lack of resources to adjudicate credible fear claims in a timely manner, and to start (let alone complete) removal proceedings for aliens found to have a credible fear, creates an additional loophole allowing otherwise removable aliens to remain at large in the United States. The president and Congress must address that loophole by ensuring that there are sufficient resources allocated to perform these vital tasks. Otherwise, the current flood of family units will just become a larger and larger wave, until we are facing a humanitarian disaster at the Southwest border.